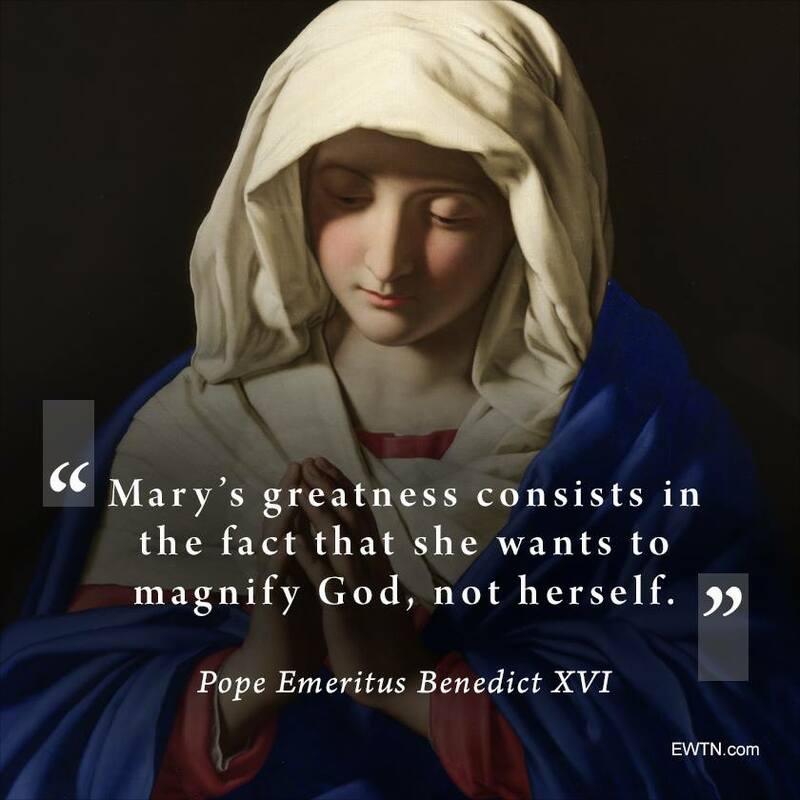 I saw this posted by EWTN and I wanted to share it. This really touched my heart as I struggle with being humble. I think we all want what we want when we want it and that is not a Christian virtue. Another thought to ponder by the scholar theologian, Pope Benedict. And speaking of a mother to admire, I would like to say Happy Birthday to my Mother. She is celebrating 87 years today! Happy 87th Birthday to your Mom! Happy Birthday to your mama. That is a birthday to celebrate. My devotional this morning touched on that very thing...what we want when we want it...focusing on things of the world and not on God. Have a great day! I had been doing some study concerning humility for my previous Sunday School lessons. One writer noted that humility is a peculiarly Christian virtue precisely because it is so supernatural. It does not come naturally to any of us! And yet we are to be servants, following the example of Jesus who came not to be served, but to serve, and to give His life a ransom for many. Concerning Mary's humility, I remember in doing a Bible study about her life that the last glimpse we have of Mary in the Bible is in the upper room in the book of Acts [Acts 1:12-14], praying WITH others. No one is praying TO her. A very good point and one that has stayed with me. Happy birthday to your mom! May God bless her in the coming year! Our Blessed Mother is a model for us all. Queen of Peace. I really like that. I was at a womens getaway some years ago where the speaker told us that pride is often the root cause of so many sins, and when you think about it, it really is true. It's a tough one!